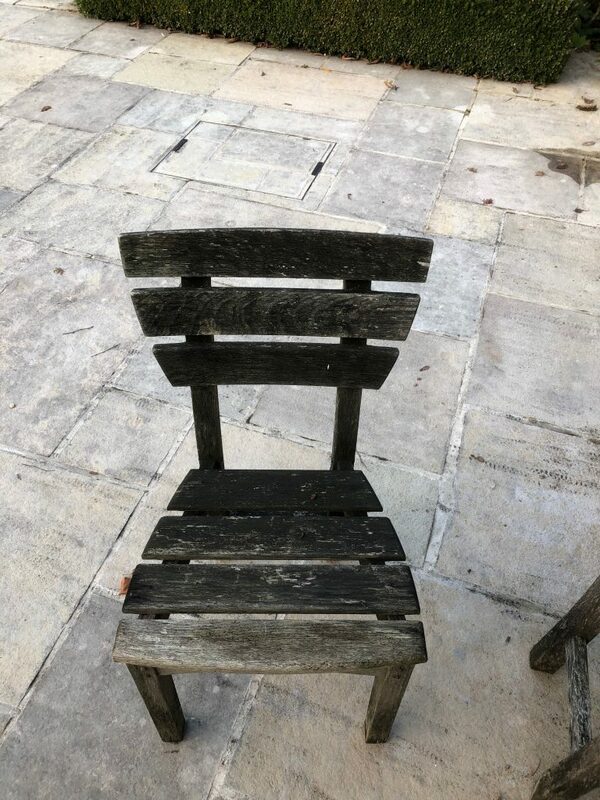 Items coming through our Winter Workshop thick and fast now, so do you have Teak, Iroko or Oak garden furniture that could do with some TLC, ready for next spring? then contact us soon, as we are now down to limited spaces before the workshop closes for another winter in March 2019. We don’t just do pressure washing cleaning etc, we do full garden furniture restorations like the photos below show. 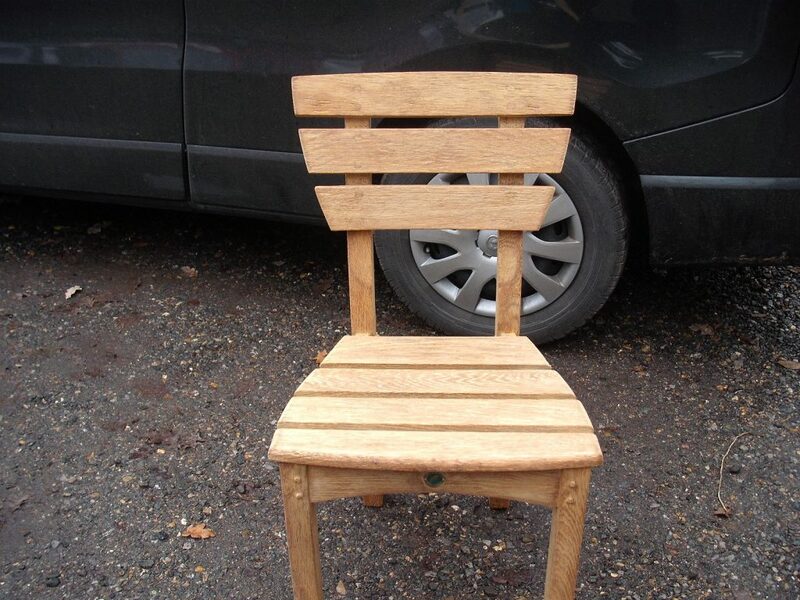 A before and after photo of 1 of 8 Oak chairs we are working on at the moment. Years of dirt & grime removed, the wood has been sanded and then re-oiled, photos of the full set of furniture including the table will be posted later in the month when they are all completed.